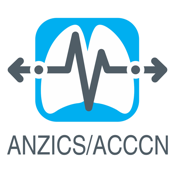 The ANZICS/ACCCN Intensive Care ASM 2011 will be held at the Brisbane Convention and Exhibition Centre. The organising committee believe it is timely to provide a conference to delegates that informs them about adjuvant therapies and technologies that intensive care practice depends and relies upon on a daily basis, as well as some new horizon ideas. Hence the theme for the 2011 ASM is "Tools of the Trade - Tips, Tricks and Technology". An exciting and diverse scientific program has been drafted and several outstanding international speakers have already been secured. As in the past, the social programme promises to be a "Ripper" - highlighting Brisbane's attributes and fun and exciting atmosphere.